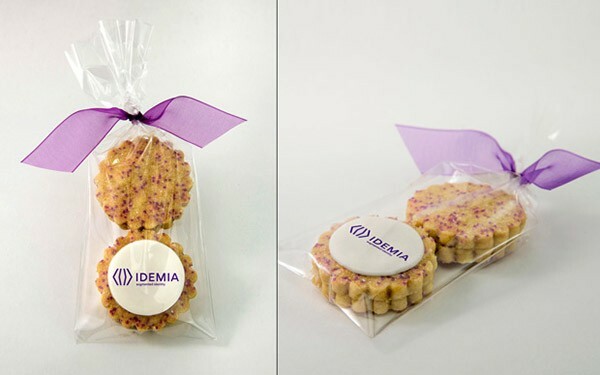 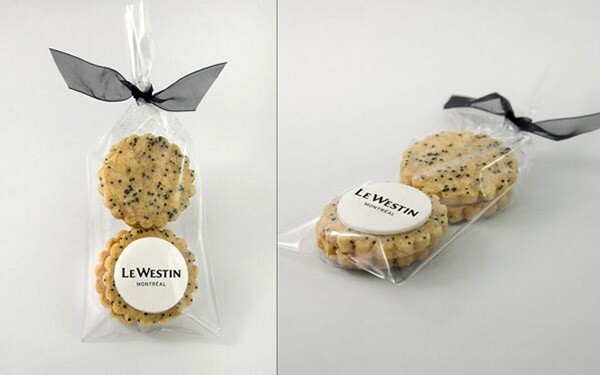 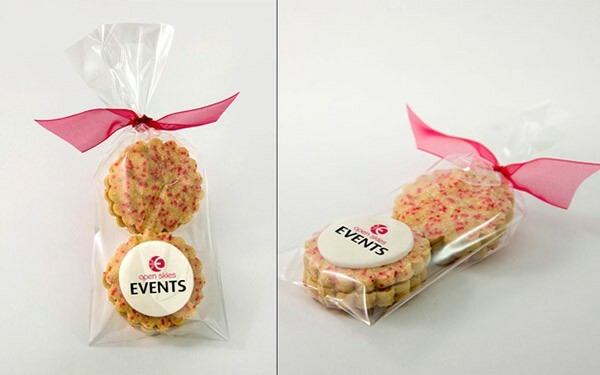 These 4-pack of personalized shortbread cookies (50 mm)with edible printing, branded to your colours fit very well with your budget and will definitely charm those who receive them! 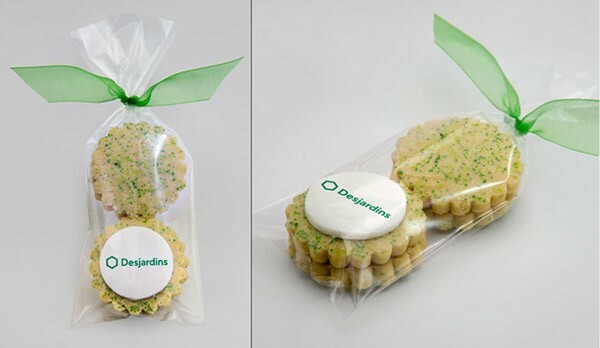 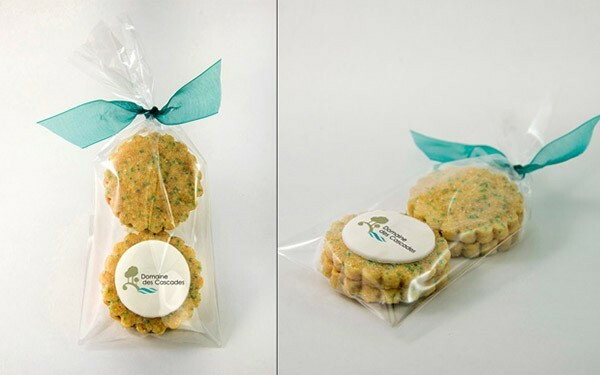 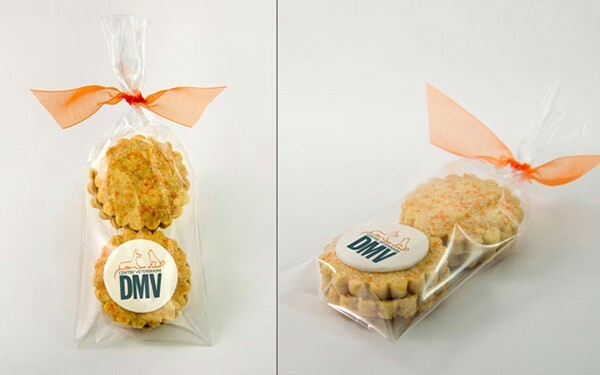 Here are some examples of corporate shortbread cookies 4-packs. 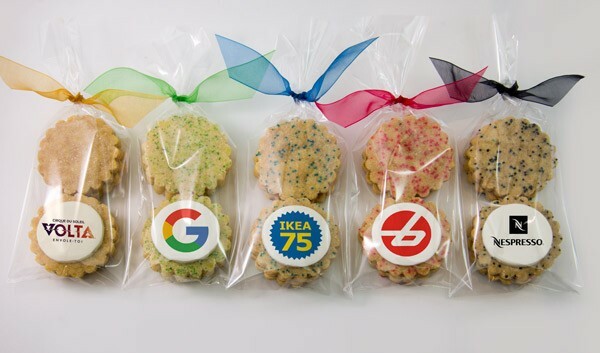 Logos printed with edible ink on sugar sheet. 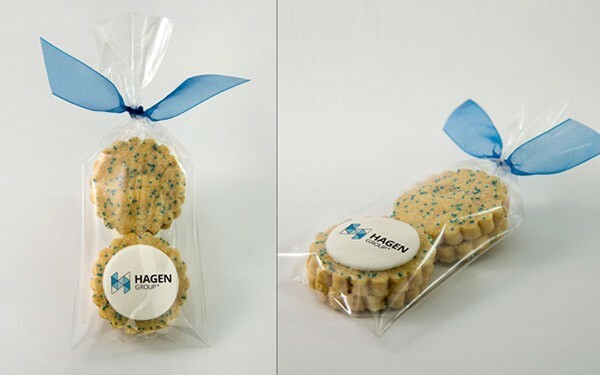 Contact me to discuss your project. 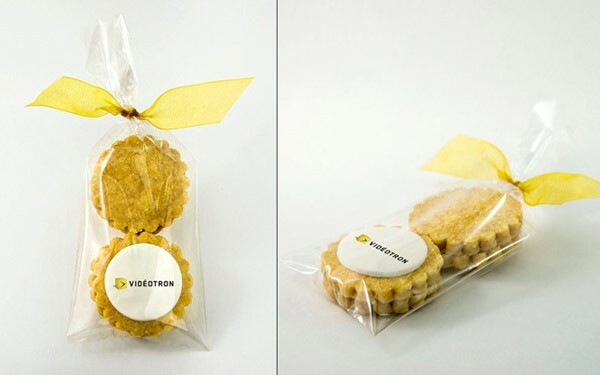 I will be pleased to make you a quote according to your needs.